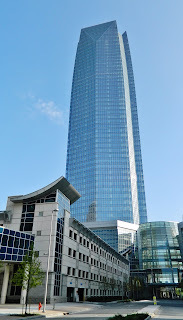 Devon Energy Tower was completed in 2012 after three years of construction. It stands 844 feet tall and has 52 stories. 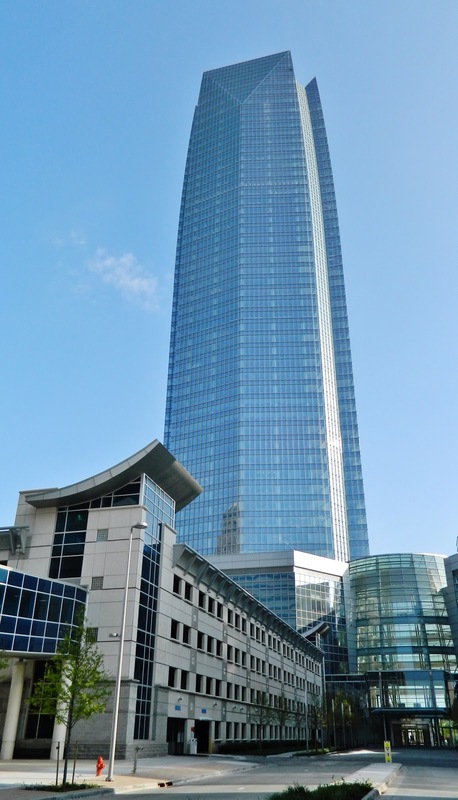 The tower, located at 325 West Sheridan Avenue in Oklahoma City, cost approximately $750 million to build. It has a concrete structure and a glass and gray curtain wall façade. The building is used mainly for commercial office space. Original plans called for the tower to be 925 high with 54 stories. Space planning revisions, namely the decision to locate Devon Energy’s data center in another facility for security purposes, lead to the final reduced height.